My compliments for inspiring, engaging, and captivating our top level and achievement-oriented business executives. Your educational, often humorous, and on-target message was applicable not only to them but to their spouses, employees, and children. Jon's presentation was regarded by many as the best of our conference. "Super," "Inspiring," "Great Ideas," " Phenomenal," "Wonderful uplifting presentation," "His enthusiasm rubs off," and similar comments dominated our attendee evaluations. Thanks for the great presentation you gave to our staff. I've received excellent feedback from all who attended. Many of the employees have a new level of energy and many commented that they will use your tips to enhance their work & personal lifestyles. Becoming an Energy Addict teaches us that we can all get so much more out of our lives. I highly recommend this book to anyone who wants to be more effective, happy and energetic. If I had to sum it up in one word I'd have to say "Stellar!" I would highly recommend Jon Gordon's presentation, "Become a Chief Energy Officer (CEO)," to anyone in the hospitality and sales industry, and anyone who has direct customer contact. Jon Gordon is pure energy! He was a big hit at our staff retreat. His session left our team focused, motivated and energized. The simple yet highly effective techniques you teach are invaluable in positioning yourself ahead of the competition, while getting a lot more enjoyment out of the game . . . and life in general. Thanks again. Jon's book and talk 'The Energy Bus' illustrates what I believe as a leader and coach. It is a great read and has been a tool that reinforces our commitment to stay positive. When we play with great energy we win; that's what The Energy Bus is all about. 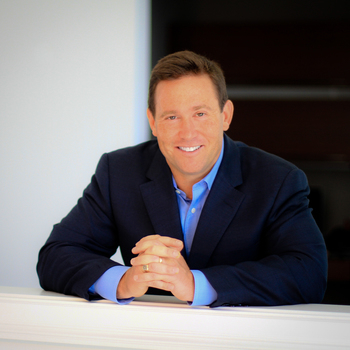 Jon Gordon is THE Authority on positive leadership in organizations today. We had Jon join us in collaborating with our physician leaders, department directors, and senior management at the beginning of the year as we developed a direction for our organization that encouraged principles espoused in both "The Energy Bus" and "The Power of Positive Leadership." After Jon's motivating and energetic presentation, our organization took a major step forward. This year, on two key surveys, we have had the highest physician engagement in over ten years, and the highest employee engagement in over five years! Your presentation was by far one of the highlights of our meeting - the ratings on your talk were off the chartsThank you so much for taking the time to learn about our strategy, the messaging we wanted to convey and wrapping it all up into a fantastic presentation about Grit and Caring for our Team Members and Customers. From our first read of The Energy Bus, we were hooked. 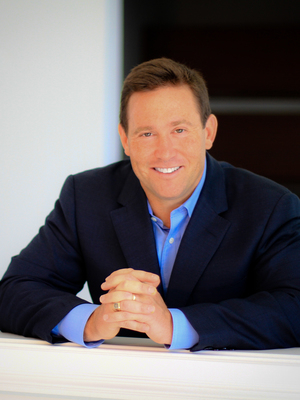 Jon Gordon has now been an integral part of how our business and leaders have built a culture of positivity and genuine teamwork. Our partnership with Jon has expanded from intimate team building to large-scale speaking engagements that have inspired our executives, managers, teams in the field and even our customers. Even more powerful is how easily his contagious messages will improve your life in and out of the office. The locker room and training room have been abuzz regarding your talk! You have been referenced by the team and the staff non-stop!!! You have a unique way of being in the room as a speaker not talking "to the room". I am a huge fan! You have made such a difference in so many lives!! Our Leaders loved Jon's keynote talk at our Leadership Summit. His preparation and commitment to make sure his time with us would be effective, was outstanding. I personally appreciated his willingness to customize his speech and the following Q&A, to our overall learning objectives for the day. His energy, enthusiasm and humor didn't hurt either. Jon Gordon was a not to be missed event at our National Conference. Our training team has been incorporating his books and principals for years as best practices to follow, so to meet him in person was a special treat for all. His passion and authenticity created the perfect foundation for our franchisees and team members to go to the next level. We can't wait to have him join us again. What a home run! Jon hit on every emotion by sharing stories we all could relate to. In fact, I was so inspired I personally ordered several of his books. Hendrick BMW/MINI invited Jon Gordon to speak to our Management Team in January to deliver a positive message and motivate our team to kickoff 2011. Our team was blown away by Mr. Gordon and his motivating and positive message. Mr. Gordon was also very entertaining and enthusiastic in his delivery! Jon spoke at two of our conferences, and his words educated and inspired our team. Jon's encouraging energy pervaded the room, and the positive response we received showed Jon's lasting impression. His words were motivating and set us up for future success as we continue to grow. Zach McLeroy, CEO and Founder - Zaxby's Franchising, Inc.